Kalaw is situated in Shan State, Myanmar. Kalaw is a popular hill station of Myanmar. It is a peaceful and quiet place. At an altitude of 1320 metres it's also pleasantly cool and a good place for hiking and amid gnarled pines, bamboo groves and rugged mountain scenery. 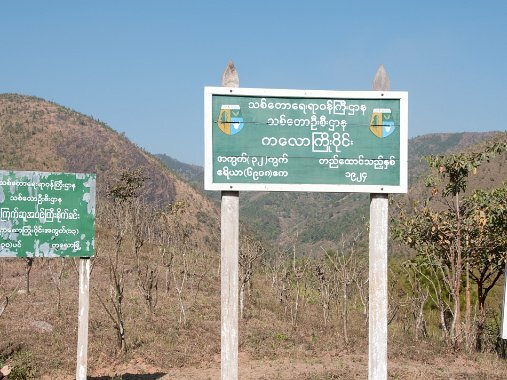 The plateau near Kalaw is inhabited by the Shan ethnic tribes such as a PaO and Palaung or the long-neck people. They weave their own colourful clothings and they make their living by plantations of "Thanatphet" trees. The leaves of theses trees are widely used to make cigars in Myanmar. These people go to the Kalaw market and sell their products too. There is only a small population, a mixture of Shan, Bamar and some Indians. It was a colonial town during the British rulings because of the cool weather. Nowadays, some of the churches are still in good conditions. 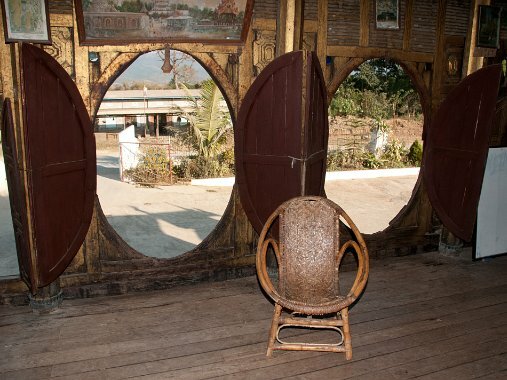 Many British style buildings are still available in Kalaw. Church like "Christ the King" is also a popular place to visit. Kalaw is situated in Shan State, Myanmar. Kalaw is a popular hill station of Myanmar. It is a peaceful and quiet place. At an altitude of 1320 metres it's also pleasantly cool and a good place for hiking and amid gnarled pines, bamboo groves and rugged mountain scenery. The plateau near Kalaw is inhabited by the Shan ethnic tribes such as a PaO and Palaung or the long-neck people. They weave their own colourful clothings and they make their living by plantations of "Thanatphet" trees. The leaves of theses trees are widely used to make cigars in Myanmar. These people go to the Kalaw market and sell their products too. There is only a small population, a mixture of Shan, Bamar and some Indians. It was a colonial town during the British rulings because of the cool weather. Nowadays, some of the churches are still in good conditions. Many British style buildings are still available in Kalaw. Church like "Christ the King" is also a popular place to visit.